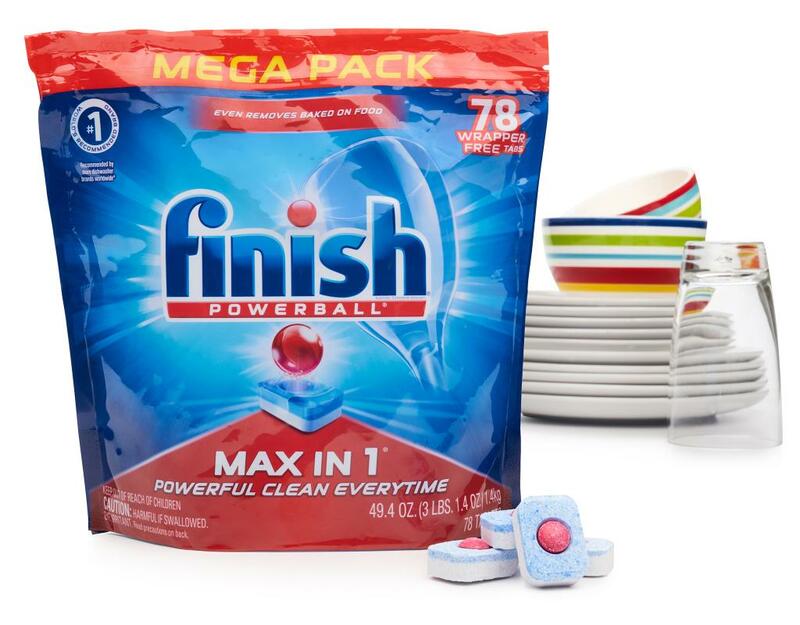 Thanks to its unique technology, Finish's powerful tabs give you an amazing clean and shine – which means you’ll never have to re-wash your dishes ever again. 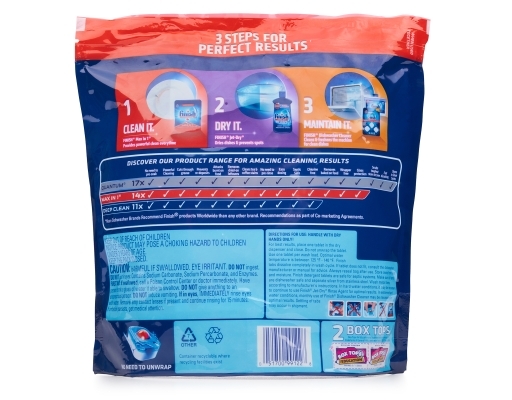 Powerball uses powerful cleaners to deliver fast action clean on tough messes. 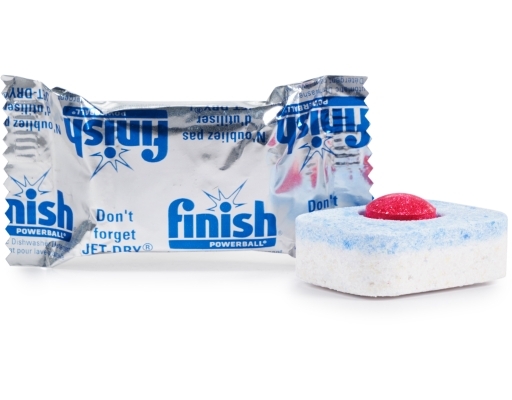 Just imagine what you could do with all that extra time! 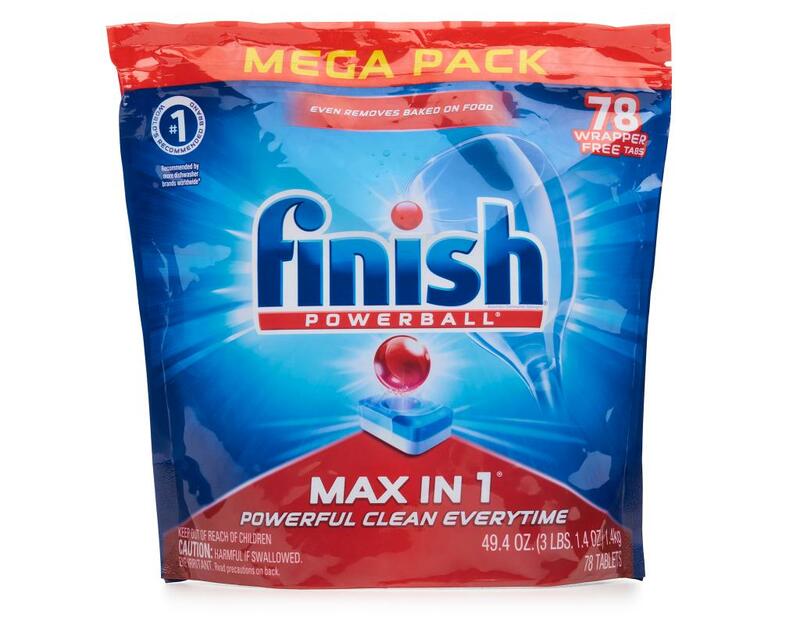 • The revolutionary Pre-Soaking Powerball bursts into action to scrub away the toughest food residues like dried on food like lasagna and oatmeal. • Powerful cleaners remove even the toughest stains, like coffee and tea, and gently scrub your dishes and glasses sparkling clean.